A credit score is a numerical figure that evaluates a consumer’s creditworthiness and is founded on credit history. Lenders use credit scores to analyze the possibility that a professional will repay their financial debts. By following the steps of paying bills on time and keeping credit utilization low you can obtain a good credit score. For a credit scoring range between 300-850, a credit score of 700 or above is generally considered good. A score of 800 or above is considered to be an excellent if not a nearly perfect credit score. A widespread majority of credit scores fall between 600 and 750. In certain sectors of the community, based upon race, credit scores differ widely in range. According to websites like Valuepenguin.com state that 21% of all blacks that borrow have a credit score lower than 620.
Credit scores are typically based upon financial records in which show debt amounts, whether payments are made without delay, and no matter if any financial obligations or expenses have been sent to collectors for non-payment. Records of liens, judgments and bankruptcies may also be included the calculations of your credit rating. Does a Phone Bill Help You Build a Good Credit Score? While having a phone by itself won’t necessarily help to build a good credit score, paying a phone or cell phone bill with a secured credit card will help you to build a credit score. Building a credit score is a matter of payment history, and making all of your payments on time. So in short, the answer is that yes possibly paying utility bills on time will help you to build a good credit score. 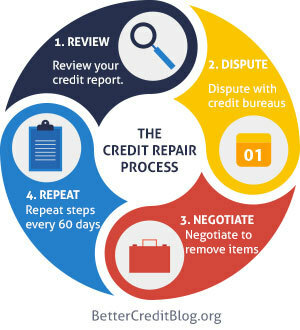 WeSource10 is a website that helps with giving resources and access to information about credit repair, legal information, or insurance information to individuals and families in the urban community. Their website address is https://wesource10.com. In order to make changes in the community to help black Americans to build a good credit score. There needs to be some sort of resource available to impart financial education to the black community. We spread information about banks, lawyers, insurance agents and more. All of those professionals have some sort of interaction with black people in America, credit and finance and banks within the United States economy. What are Some Black Financial Institutions? Those financial institutions have development capital to expand, grow and increase the velocity of money and economic wealth within the black community. By making an investment in the community, schools, children and homes, institutions like the black owned credit unions and banks, help grow a community. They help save money, build, fix and/or repair credit, purchase or remodel homes or grow their small, medium or large businesses. With making payments on time, building credit with items like secured credit cards and repaying small loans or term payments anyone can build a good credit score.